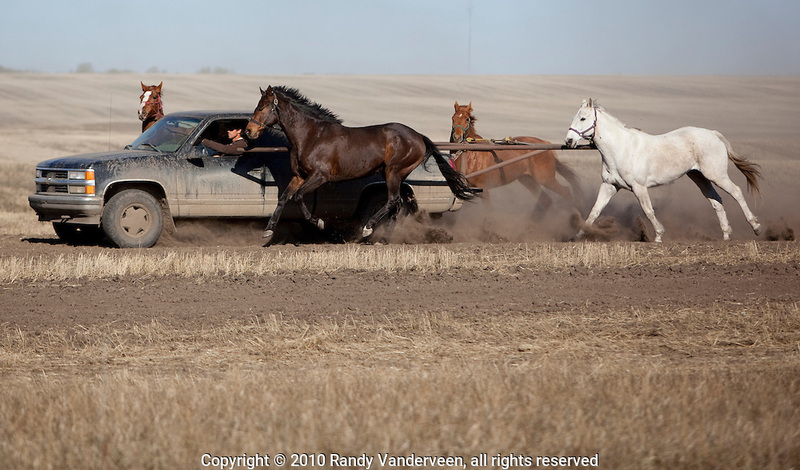 Photo Randy Vanderveen.Grande Prairie , Alberta.26/04/10 .Horses at Kelly Sutherland's land east of the city get some exercise to build up their legs and wind as they are ponied through a track on a field. Four trucks were ponying four horses each Monday morning. The first race of the season-- Grande Prairie Stompede-- is only a month away.